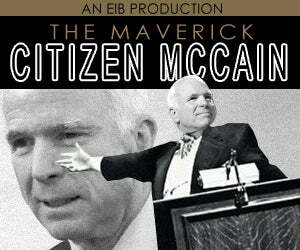 Who Thinks McCain Endorsing Romney is a Great Idea? I just pointed out that the New York Times per-issue price increase wipes out your $40 tax cut and then some. Your New York Times per-issue increase of 50 cents is gonna cost you more than your tax cut is. But Obama is out actually saying, “You’re keeping that extra $40 in every paycheck ’cause I told Congress they couldn’t leave for vacation.” I mean, folks, it’s pathetic. We have a president of the United States running for reelection on $40, a tax cut of 40 bucks. Do you remember how Obama fought tooth and nail against extending the Bush tax cuts? That’s real money. That’s not 40 smackers. That’s real money. And he fought tooth and nail against that. Meanwhile, McCain is still endorsing Romney. If they’re gonna do this, you know, do it in ten seconds and then grab the hook. But no. RUSH: Okay, the McCain endorsement. So I’m listening to PMSNBC during the break and Mark Halperin — I don’t even know where he works anymore. These guys jump around from magazine to magazine. Is he still at TIME? I don’t know. But he’s talking about, and frankly, I had not considered this, New Hampshire loves McCain. This is a brilliant move by Romney because New Hampshire loves McCain. This is perfectly timed. But then a question arose in my fertile mind. Why does Romney need an endorsement in New Hampshire? The polls all indicate that Romney wins New Hampshire easily, so much so that New Hampshire’s considered to be irrelevant now, that South Carolina, that’s the next real focal point. South Carolina is going to be a far more important indicator than New Hampshire. And yet here comes McCain, and they’re doing two or three joint appearances today with McCain endorsing Romney in New Hampshire. And so Mark Halperin is making it look like the McCain endorsement is a specifically targeted endorsement simply for New Hampshire. Okay, fine and dandy, but why is it necessary? The conventional wisdom is that Romney’s got New Hampshire sewn up. If you were Romney, which endorsement would you rather have today? John McCain or Rush Limbaugh? Well, he’s got the McCain endorsement in New Hampshire. Now, why aren’t the brilliant Republican strategists and consultants, is my question, why aren’t these brilliant consultants and all these campaign experts and managers, why aren’t they warning Romney against getting endorsements from McCain? I just don’t understand it. RUSH: Let’s play a little game here. Let’s just assume for the fun of it that Romney did choose McCain to be his VP running mate like the guy in New Hampshire suggested. What kind of combination would that give us? Here’s what we’d have — and it’s a killer combination indeed, folks! A Romney-McCain ticket: The man who could not beat Obama teamed up with the man who could not even beat McCain. That’s what somebody in the audience in New Hampshire actually asked for today! What a deadly combination.